This cake was made for my mother-in-law’s birthday last week. 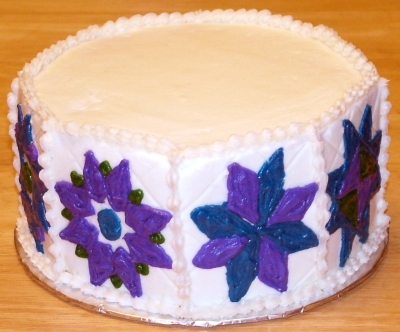 Its an 8″ cake trimmed to be an octagon. 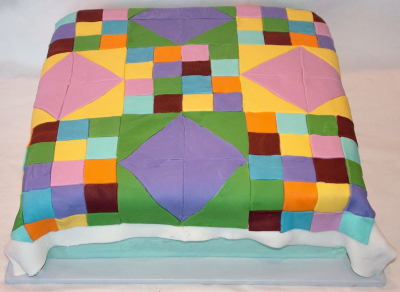 She is an avid quilter ~ so I made each side a quilt block design. 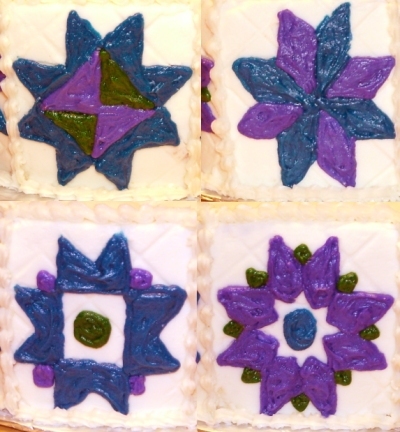 I did 4 different designs, repeated each twice. I also used an impression mat to quilt behind the blocks. Everything is buttercream icing. 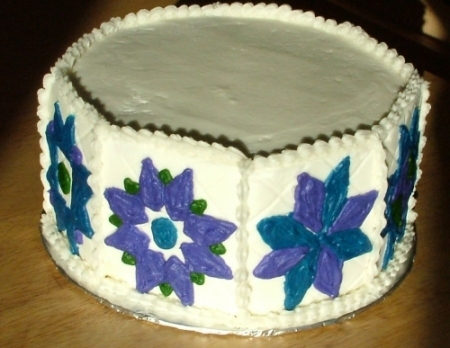 This first pic shows the cake better but the second pic is more true to life of the colors. The third is a pic of all 4 designs.